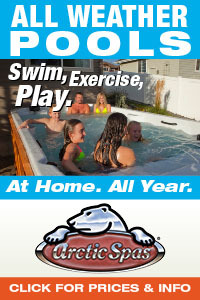 Coast Spas® Manufacturing Inc. is at the International Pool and Spa Expo in Orlando, Florida this week to showcase their innovative Hot Tub and Swim Spa models and features. This is a special event as Coast is set to unveil a new swim resistance system that will revolutionize the Swim Spas and set the bar for the industry in this growing market. The Wellness Spa® Swim Spa models from Coast Spas® are the definition of taking hydrotherapy, health and fitness to the next level. Each model is loaded with features that allow the owner/user to get the most from their Wellness Spa® such as premium underwater exercise bands that have integrated quick-click attachment points located in various areas of the Spa to accommodate a large range of upper-body and core exercises. In each model there is also a seat and connection points for two underwater row-bars. The Wellness Spa® takes rowing to the next level by adding a resistance band to the bars in order to optimize the user’s output while performing this incredibly effective exercise. Now Coast Spas is introducing the world to it’s brand new Swim Resistance System that will be available on 2018 Wellness Swim Spa models. This entirely new system was developed by Coast Spas and engineered to be the most effective counter-current swim machine available. With over two decades of research and dedication to crafting products that excel in providing the largest Wellness Factor to the users of their products, Coast Spas is now ready to disrupt the Swim Spa industry with the most effective swim resistance system available. The new system is able to quickly move large amounts of water in an incredibly smooth and non-turbulent manner that creates the perfect swimming environment. 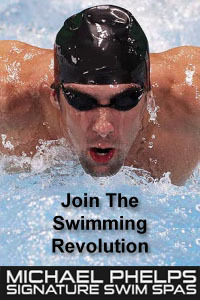 All this is coupled with a new variable speed control system that allows swimmers to select the perfect speed of counter-current and a new touchscreen interface that offers users to select multiple exercise modes and access various pre-set selections tailored specifically for their ability. 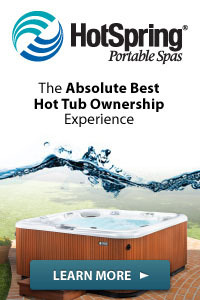 This alone would be a massive announcement for the innovative Coast Spas, but their showing off even more this year at the International Pool and Spa Show in Orlando. 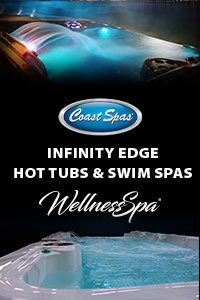 The Coast Spas Team has chosen to display their new Swim Resistance System on the largest portable Infinity Edge Swim Spa in the World. With a gigantic swimming and exercise area, the Wellness Infinity Ultra Swim Spa has both stand-up and sit-down massage therapy zones, all the aforementioned exercise and fitness equipment all incorporated into a stunning Infinity Edge design that is an absolute show-stopper with the custom cabinet finish and photo-sensing Carbon Fiber Corners. If that wasn’t enough, the model on display in Orlando also has Coast Spas’ exclusive Levitator Jets that take stationary swimming to the next level by compensating for the swimmers lost buoyancy that occurs when the swimmer is swimming in place. If you’re in Orlando for the International Pool and Spa Expo this week, make sure to stop and talk to the friendly Coast Spas Team. 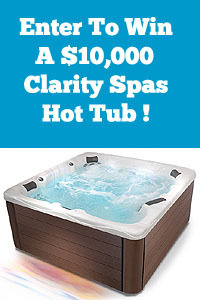 They have opened up new territories and seeking representatives for their best-selling line of Hot Tubs and Wellness Swim Spas.